It's Decorative Gourd Season around here, as McSweeney’s famously declared — a time to look back at all the hard work that’s gone into producing the fruits we now collect and devour in gluttonous revelry. To mark the season, we’re inviting poets, writers, and readers alike to join us in celebrating the fruits of three poets’ labors. April Naoko Heck, Natalie Diaz, and Ocean Vuong will share their work and talk with R.A. Villanueva about their obsessions and preoccupations as the days get shorter. In A Nuclear Family, her first collection of poems, April Naoko Heck contemplates a lineage passing through the atomic bombing of Hiroshima to the world of nuclear power outside of Cleveland. Born in Tokyo, she relocated with her family to the U.S. when she was seven. 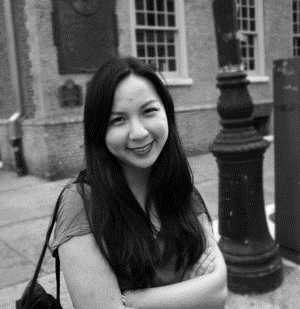 A Kundiman Fellow, she has been awarded residencies from the Virginia Center for the Creative Arts and Vermont Studio Center. She works for the NYU Creative Writing Program and lives in Brooklyn. Natalie Diaz delves into life on a reservation in the American Southwest in When My Brother Was an Aztec, where family collides with conquest and empire. She is a member of the Mojave and Pima Indian tribes and attended Old Dominion University on a full athletic scholarship. After playing professional basketball in Austria, Portugal, Spain, Sweden, and Turkey she returned to ODU for an MFA in writing. Her work was selected by Natasha Trethewey for Best New Poets, and she has received the Nimrod/Hardman Pablo Neruda Prize for Poetry. She lives in Surprise, Arizona. Ocean Vuong’s work examines love, longing, and family memory against the backdrop of the Vietnam War. Born in 1988 in Saigon, he was raised by women (a single mother, aunts, and a grandmother) in Hartford, Connecticut, and received his BA in English literature from Brooklyn College. He is the author of two chapbooks: No and Burnings, which was an American Library Association’s Over The Rainbow selection. 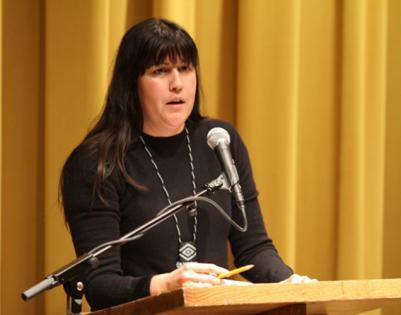 A recipient of a 2013 Pushcart Prize, other honors include fellowships from Kundiman, Poets House, and the Saltonstall Foundation For the Arts, as well as an Academy of American Poets Prize and the Connecticut Poetry Society’s Al Savard Award. He lives in New York, where he reads chapbook submissions as the associate editor of Thrush Press. R.A. Villanueva is the author of Reliquaria, winner of the 2013 Prairie Schooner Book Prize. He is also the winner of the 2013 Ninth Letter Literary Award for poetry. A semi-finalist for the 2013 "Discovery"/Boston Review Prize and a finalist for the 2011 Beatrice Hawley and Kinereth Gensler Awards, additional honors include fellowships from Kundiman and The Asian American Literary Review, and scholarships from the Geraldine R. Dodge Foundation. Congrats, dear Ocean! Check out his piece "I Remember Anyway" in Guernica's Race in America issue and his poem "Descent" in Drunken Boat.